Labor Day is just around the corner! That means a long weekend of grilling out, soaking up the sun, and spending time with friends and family. Most importantly, the holiday signifies the beginning of football season. Can you feel the excitement in the air? I’ll be honest – I get more excited about the amazing food and company than I do about watching the game. I like to go to Walmart and stock up on Heinz products because they are in so many delicious recipes that are perfect for tailgating. Combine tomatoes, onions and peppers. Wrap 1 bacon slice tightly around each wiener, tucking in ends of bacon slices to secure. Grill 8 to 10 minutes or until bacon is done and wieners are heated through, turning occasionally. Drain on paper towels. Meanwhile, brush mayo evenly onto both sides of buns, then grill 1 to 2 minutes on each side or until lightly toasted on both sides. Fill buns with wieners; top with tomato mixture, ketchup and mustard. Gone are the days of bringing a classic hot dog to a tailgating party. It’s time to kick it up a notch with the bacon-wrapped hot dogs. How can a person resist such a creation? Kraft Heinz products are the perfect start gatherings of every size – whether it’s watching your favorite team toss the pigskin or putting delicious food on the table that everyone can enjoy at your next friend or family get together. 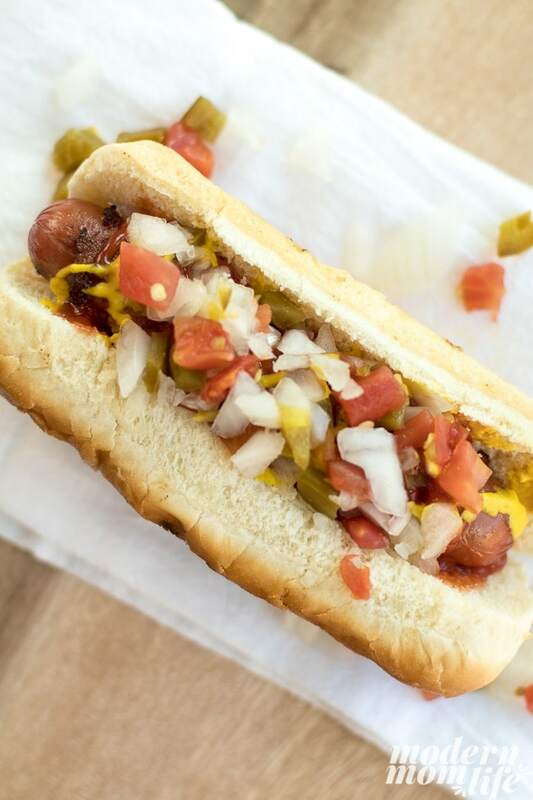 Be tailgate ready with this delicious and easy hot dog recipe by picking up your products at Walmart. Want more game day recipes? 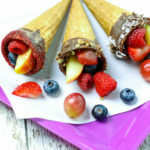 Check out GrabGoWow.com for more tasty recipes. Make sure you invite bacon wrapped hot dogs to your next tailgating party! Let me know what you love the most about football season?